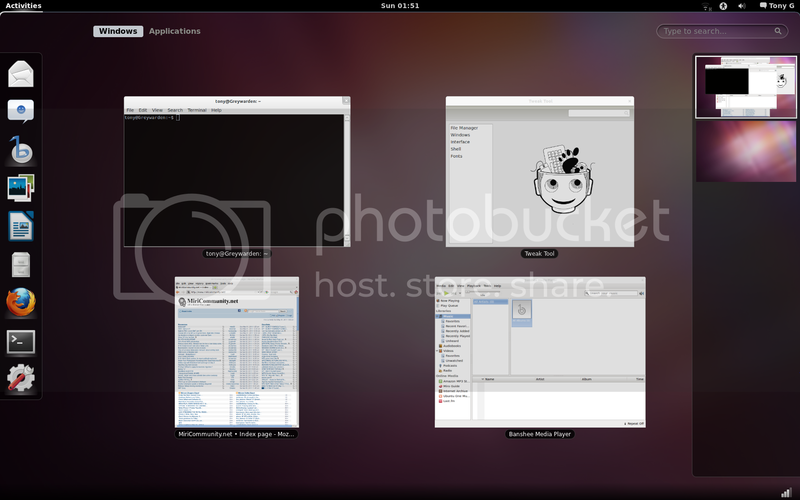 This is how to make Bumblebee works in Ubuntu 13.04 otherwise you will get [ERROR]Cannot access secondary GPU - error: [XORG] (EE) No devices detected. 6) We need to edit xorg.conf.nvidia. 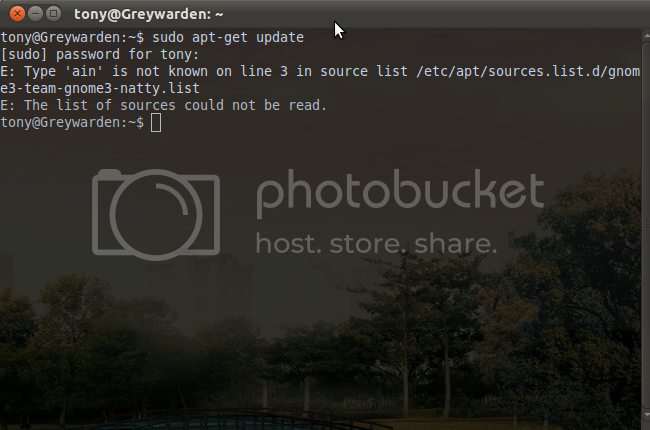 Install GKSU if it is not installed yet. 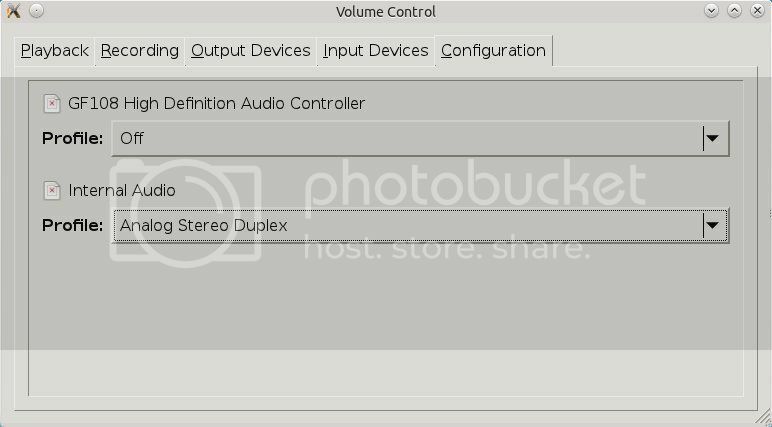 Kubuntu 11.10 No Sound, Dummy Output Selected. My Laptop is Asus A43S with sound card GF108 High Definition Audio Controller. 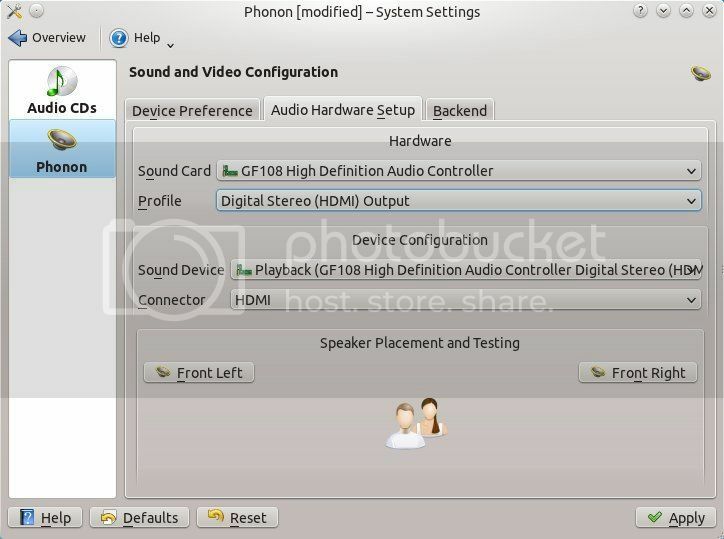 I understand that by selecting the profile to off and use internal Audio will solve the problem but my case is different. It will become dummy output and Internal Audio Analog Stereo is greyed out. Now the sound is back. After I uninstall the Gnome 3 and revert to unity, I've decided to upgrade back to Gnome 3 again, honestly I'm not happy with Unity, it's very lag. 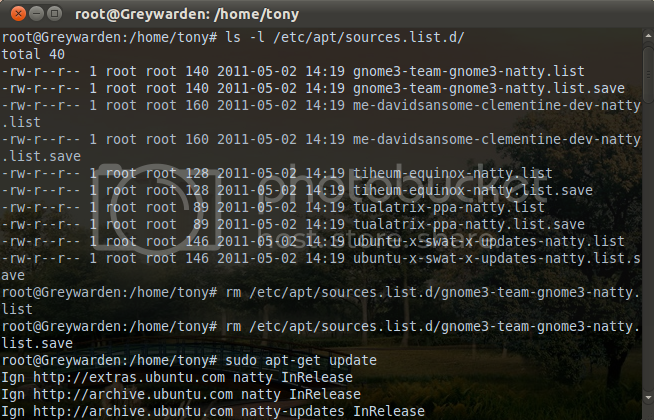 I try to delete the gnome3 list and successful! Then run the apt-get update and it should be okay. Today I've been playing this song 51 times, what a lovely and melancholy country song. Awesome lyric too, Chris Young is getting better and better. Let's go country! This is an interesting article I've found. Hmm.. just have a read. What do you think? A number of devastating quakes have struck across the globe in recent years — from Japan to Chile to Haiti — sparking fears that our planet is due to experience even more catastrophic temblors in the near future. Three research teams have now combed through 110 years' worth of global seismic records to see if we might be caught in a global trend of giant earthquakes. Some say we are; others disagree. One pair of researchers found clusters of what they called "megaquakes," earthquakes of magnitude 9.0 or greater. One cluster involved three such quakes between 1952 and 1964, including the magnitude 9.5 Chile quake of 1960, the largest earthquake ever recorded on Earth. Another, larger, cluster of magnitude 8.6 and higher temblors happened between 1950 to 1965, said Charles Bufe and David Perkins, seismologists with the U.S. Geological Survey in Golden, Colo. They speculate that the magnitude 8.4 Peru quake in 2001 could mark the beginning of a new global sequence of major quakes that we are currently experiencing. "This isn't doomsday — I don't think large earthquakes will occur over a long period of time — but we're saying there seems to be a cluster right now with a higher than normal probability for large quakes," Bufe told OurAmazingPlanet. "I don't know how long this cluster might last — if we don't get another large earthquake in maybe the next 10 or 12 years, I would say we're probably out of the cluster." Bufe suggested that by sending seismic waves traveling around and around the planet's surface, very large earthquakes might weaken fault zones that are already very close to failure. "I think there's a more than 50 percent chance we'll see another magnitude 9 quake sometime in the next decade or so," he said. On the other hand, this apparent recent spike in large quakes could just reflect random fluctuations in global patterns of seismic activity. A statistical study from U.S. Geological Survey researcher Andrew Michael at Menlo Park, Calif., suggests this seeming cluster pattern disappeared once local aftershocks of the large earthquakes are taken into account. "The most important lesson is that random doesn't mean uniformly distributed in time — instead, random processes create apparent clustering and it is important to carefully consider whether apparent clusters, or times of less activity, go beyond what is expected from a simple random process," Michael told OurAmazingPlanet. "So far, my results show that the apparent clustering is consistent with a random process." If the apparent clustering of these quakes is a matter of chance, then seismologists can't say whether or not another huge temblor is likely to erupt anytime soon. "The recent spate of great earthquakes can be explained as a random fluctuation without predictive power for the future," Michael said. He added that global predictions of earthquakes and the damage they inflict should use the longest possible historical record for an area "rather than focusing on the recent past." Seismologist Richard Aster at the New Mexico Institute of Mining and Technology and his colleagues looked at historical catalogs of earthquakes along with more recent findings to create a long-term record of the cumulative size of earthquakes around the world. They suggest there were relatively low rates of big earthquakes during the periods 1907 to 1950 and 1967 to 2004. However, they found the rate of large earthquakes increased substantially during the period 1950 to 1967 and appears to be on the rise again since 2004, since the devastating magnitude 9.1 to 9.3 earthquake that struck Indonesia and generated a massive tsunami late that year. Still, this finding "is not statistically differentiable from randomness," Aster told OurAmazingPlanet. Progress into understanding whether there are ages of major quakes or not may be slow "because we just don't get that many great earthquakes to produce a better sampling of this natural process," Aster said. "We only get a few magnitude 9-plus earthquakes per century, for example — fortunately for earthquake risks around the world, these events are rare," Aster said. "There are only 14 earthquakes in the past 111 years greater than magnitude 8.5." Michael agreed. "The main limitation is that we don't have enough data," he said. "We can't say that clustering doesn't exist. We can only say that the data doesn't let us reject the hypothesis that the data is random. If there was more data, then the results could change — but that will take decades to occur." The scientists detailed their findings on April 14 at the Seismological Society of America meeting in Memphis, Tenn.
My friend Lori introduced me this song and I got addicted to it haha. I keep playing it many many times. New single from David Cook, Last Goodbye. On Wednesday, two walkers in Siberia claim to have found the body of an alien, and took a video of their findings. The video was taken Wednesday, April 20, 2011 near Irkutsk, Russia. The video shows a small, slender, damaged body lying in the snow. The alien is approximately 2 foot high and part of the right leg is missing. The area near Irkutsk, Russia has been called a UFO hotspot and people have reported numerous sightings of aliens and UFO's near that area. 'We couldn't believe it when we saw it. And what was spooky is that there was no sign of the spaceship. Perhaps that was taken away and the body overlooked,' said Igor Molovic who uploaded the video.